Today sees the release of Supernova SN2010 - the eagerly awaited new bottling from the Ardbeg distillery on the island of Islay. The whisky world has been waiting for the general release of this scotch malt ever since the first and second bottlings came out last year (the first was just for the members of the Ardbeg Committee and the second went on a general but limited release). Supernova is touted as being one of the smokiest whiskies ever produced and has a peating level of over 100ppm (phenols per million - the measurement used to calculate the level of smokiness in whisky). 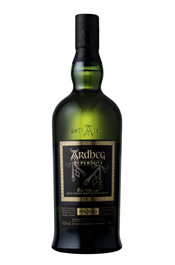 Compare this to the regular Ardbeg 10 years old and Laphroaig 10 years old, which have peat levels of just over 50ppm and are regarded as two of the smokiest whiskies on the market. Ardbeg is a distillery on the western Scottish island of Islay (pronounced eye-la), which is the home of the smoky style of whisky. It is located in the south east of the island and produces some of the peatiest, smokiest whiskies in the world. Ardbeg was founded in 1815 by John MacDougall, although records show that a distillery was operating on the site since 1794. The current owners are drinks company Moet Hennessey and the distillery has a capacity of approximately one million litres per year. Most of the whisky produced is released as single malt, although Ardbeg also appears through independent bottling companies, although these are becoming rarer, and has a cult following of whisky drinkers across the world. For more information on how peat influences whisky and how phenol levels are calculated, then read Explain about ... Peat. For more information and facts on Ardbeg, then you can also visit their distillery profile page on our website - whiskyforeveryone.com. The colour of our sample of SN2010 is a pale gold and the nose is vibrant, fresh and packed with character. However, it is not as potent as expected when considering the high level of peatiness and the high ABV. There is obvious peat smoke that has a fresh, damp earthy note to it and this combines with strong tar, which gives it an acrid feeling. Underneath these are other notes of sweet vanilla, burnt cereal grains, fresh green fruit (think of apples), something vegetal (reminiscent of hay or compost) and a distinct saltiness. On the palate, this is again vibrant and the smokiness seems far less earthy and peaty than expected - it has more elements of coal smoke and acrid tar to it. The smokiness is backed up by a complex mix of other notes that fight for attention - vanilla, honey, damp oak, a salty brine-like tang, lemon zest, honey, dark treacle, plenty of spicy hot red chilli and hints of cocoa powder and menthol. It seems that something different comes through with each new sip! The finish is incredibly long (we tested the length and got to about 20 minutes before it properly faded) - it begins with a short sharp hit of sweetness before becoming dry, woody and hot with red chilli spice. This spiciness and woodiness increases with time, as it becomes drier and drier. This whisky is punchy and challenging. It is intense, full on, vibrant and explodes, especially on the palate and finish, giving your tastebuds a kick where it hurts. SN2010 oozes individuality, is well made but obviously young and fresh. It is not an easy drinker and not one for every day sipping, but an occasional 'special' dram. More intense and complex than the 2009 versions, this is one for the insanest of peat heads and must be tried to be believed. The Balvenie distillery is located in the famous whisky town of Dufftown in the heart of the Speyside region of Scotland. It is one of the largest and most famous scotch whisky distilleries in Scotland with an annual production level of 5.5 million litres. Balvenie is still owned by the original founders, the innovative William Grant & Sons, and it was built in 1892 to help their other overworked distillery at Glenfiddich. Balvenie is actually next door to Glenfiddich and is a unique distillery. They have their own floor maltings (a room used for the germination of the barley), a cooperage where they construct casks and they even grow some of the barley used in the distillery grounds. Most of these processes are carried out by external companies in the modern whisky industry. Each year over 1.5 million bottles of Balvenie are sold across the world, putting it well inside the top 10 for total sales. 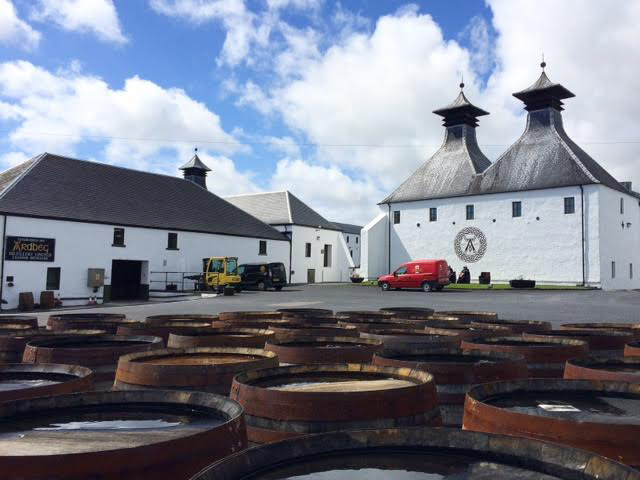 All aspects of the Balvenie brand - its popularity and core range - continues to grow. The core range currently includes two 12 year olds (one called Doublewood and the other called Signature), a 15 years old from a single barrel, a 21 years old which has been part matured in a Port wine cask and a 30 years old. 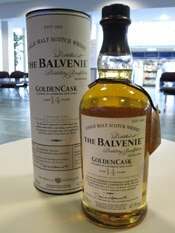 Other limited editions appear regularly and they also have some whiskies bottled exclusively for the duty free travel market, such as this Golden Cask. The Golden Cask is bottled at 14 years of age and has been part matured in Caribbean rum casks. 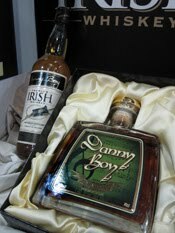 It was released in February this years, has an alcohol strength of 47.5% ABV and is available in travel retail only. A bottle will cost £40-45, depending on where you find it. The colour of this Golden Cask is a honey gold and the nose is fresh, perfumed and vibrant with plenty of captivating aromas - cereal grains, obvious vanilla, dried fruits (think of pear and something tropical, like mango), honey, coconut and a citrus-like edge (imagine orange zest or orange oil). The combination of aromas is excellent and tempting, making you want to just sit and sniff the whisky for ever. On the palate, this is fresh, juicy, sweet and intense. There is again obvious vanilla, oak, cereal grains and sweet honey. These are backed up by some more subtle elements such as orange zest, sandalwood and crumbly brown sugar, with some increasingly potent wood spices coming through towards the end (imagine nutmeg and cinnamon). The finish is again intense and begins sweetly (especially the vanilla and honey) before becoming much drier and spicier with lots of those wood spices and oak coming through. Simple - this Golden Cask is a delicious whisky. It has a lovely balance throughout, especially when you consider the higher strength. The whisky mixes vibrant, fresh, sweet elements with more subtle, understated and spicy notes. This excellent balance means that it doesn't feel like it needs any addition of water - we tried it with water and it becomes a little sweeter, creamier and less spicy. Golden Cask is one of the best new whiskies of the year that we have tried to date and offers great value for money, which makes it a no-brainer next time you go through an airport. The Arran distillery is one of the youngest single malt whisky distilleries in Scotland. It was founded by an independent group called the Isle of Arran Distillers Limited in 1993 and production began in 1995. The distillery is located on the isle of Arran, near to the village of Lochranza. It became the first legal distillery on the island since the 1840s. The island lies between the Campbeltown peninsula and the west Lowland coast. The Isle of Arran Distillers Limited decided to employ traditional whisky production methods rather than modern day mechanised alternatives and Arran is one of Scotland's smaller distilleries as a result, producing approximately 750,000 litres per year. Arran's visitor centre is one of Scotland's most visited, despite its relatively remote location. Arran is a very innovative distillery but their core range reflects the small production capacity and the length of its young history. This consists of a 10 years old, this relatively new 12 years old, a cask strength version (called 100 proof) and an un-chillfiltered version. 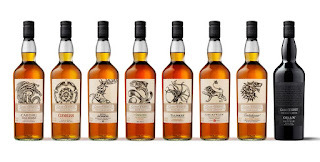 In addition to this, they have been experimenting with maturation in different casks, including European wine casks and these are released periodically as limited editions. The distillery is also planning some additional releases this year, to celebrate the 15th anniversary of production starting. This 12 years old is released at 46% ABV and should cost around £35 a bottle. The colour of this Arran 12 years old is a deep gold and the nose is sumptuous and vey promising. There is an interesting combination of aromas - sweet toffee, vanilla, robust cereal grains, fresh fruits (think of apple and peach especially) and a hint of citrus (imagine lemon zest). On the palate, this feels lovely and creamy with plenty of cereal grain, vanilla and nuttiness present (think of hazelnuts). There is also a complex and pleasant mix of other underlying characters, such as honey, butterscotch, some tangy citrus zest (especially lemons), oak and a hint of wood spice (imagine a grate of nutmeg and some ginger). It feels thick and buttery and the finish is long and enjoyable. There is again an abundance of vanilla oakiness, cereals and butterscotch with the warming wood spices coming increasingly to the fore. 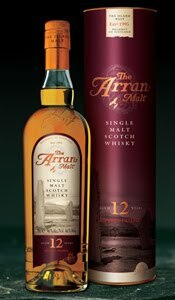 Arran 12 years old is a very enjoyable, well balanced and pleasant whisky. It combines a lovely creamy nature with some other complex characteristics and it is easy to see why the distillery have started to pick up awards for their whiskies. This would be a great choice for a beginner to the world of whisky as it is soft, has balanced sweetness and is easy drinking, yet with enough elements to keep the whisky connoisseur interested. This whisky gives you the real impression that Arran is coming of age as a distillery ... a very good dram. The first official single malt whisky from Kilchoman was released in November 2009, once it had reached the legal age of three years and was allowed to be named as whisky. Prior to this, Kilchoman had released a series of bottlings of their new make spirit that had been aged between one month and two and a half years. This three years old has won rave reviews from within the industry, whisky writers and drinkers alike since its release. We have never properly sampled it, so thought that it was time to do so! 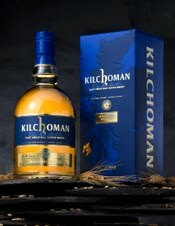 Kilchoman 'Inaugeral Release' is limited to just 9000 bottles, has an alcohol strength of 46% ABV and should cost £45-50 from selected specialist retailers and www.kilchomandistillery.com. The colour of this Kilchoman whisky is light, straw-like and golden. The nose has an interesting combination of vibrant freshness and rich smokiness - the aromas coming through include fresh green fruit (think of pears and apples), vanilla, citrus (imagine lemon zest), a hint of something savoury and meaty (think of smoked bacon) and plenty of bonfire smoke. On the palate, this feels sweeter and less savoury than the nose suggests. This sweetness has elements of honey, vanilla and icing sugar to it. These combine well with the slightly acrid but pungent peaty smoke (this feels slightly more ashy than on the nose) and the fresh green and citrus fruits - the overall feeling is clean and refreshing. The finish is long, vibrant and sweet with the vanilla and smoke prominent. The smokiness smolders away for ages in your mouth and turns a little dry right at the end. Many well respected whisky writers have praised this Kilchoman 3 years old to the hilt and it has won a number of awards since its release. It is easy to see why - put simply, this whisky lives up to the hype. Considering its age, it has good balance, character and interest and smells, feels and tastes older than it is. It also exhibits great potential ... the question is, if Kilchoman is this good now then what will it be like when/if it fulfils its undoubted potential? This has to be tried, especially if you love your smoky whiskies. Distil 2010 is a trade show that is held annually at the Excel exhibition centre in east London and it is run in conjunction with the London International Wine Fair (LIWF), which is one of Europe's largest wine shows. The theme of the fair is to showcase new and unusual products to retailers, restaurants etc. We attended the show and sampled some of the products on offer. Compared to previous years, the number of whiskies was disappointingly low, although this did allow us to try some other genre of spirits. 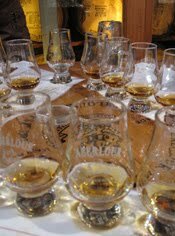 Below are basic tasting notes and thoughts of our five highlights - as and when we taste them again, then these notes will be expanded giving more detail and distillery information. This is the only wheat whiskey that is regularly commercially available and is made at the Heaven Hill distillery in Kentucky, USA. It contains a mix of wheat, corn and malted barley and is bottled at 45% ABV. The colour is amber orange and the nose is warm, spicy and appetising. There is a lovely mix of coconut, cinnamon, orange peel and toasted almond. On the palate, this is again warm and spicy - plenty of oak, vanilla and wood spices (cinnamon and nutmeg) are present plus more delicate notes of almond, orange, coconut, caramel and a hint of apricot and peach. The finish is robust and grainy with plenty of wood spices again. The sweetness turn very dry towards the end and leaves you wanting more. Excellent - the whiskey of the day for us. This is a new Irish whiskey that is the brainchild of former lottery winner Peter Lavery from Northern Ireland. He has been developing the range of whiskies for the last 10 years and it now includes the Premium - a blend of four and five years old whiskies, a 15 years old blend and a cream liqueur. All whiskies are made at the Cooley distillery. The Premium is golden in colour and has a sweet, refreshing nose. There is a combination of caramel, cereals, dried fruits (especially sultanas and raisins) and a hint of wood spice (think of cinnamon). On the palate, this is again sweet but softer than the nose suggests. There is plenty of dried fruits, caramel and citrus zest (think of lemon) with a distinct grainy note backing it up. The finish is short, sweet and pleasant. Also sampled was the cream liqueur, which was served in a chocolate cup that you ate at the same time as drinking the liqueur. The combination was good and should be marketed! Elijah Craig is another bourbon that is made at the Heaven Hill distillery in Kentucky, USA. It is named after one of the fore fathers of the American whiskey industry. Older bourbons are rare so the opportunity to try this had to be taken. The colour is a rich amber and the nose is robust and distinctly woody. There is a ton of oak here with vanilla, coconut, toasted almond, orange oil and cinnamon spice backing it up. On the palate, this is spicy and grips your mouth with cinnamon and nutmeg particularly prominent. Softer, sweeter notes battle through - vanilla, cereal grain, oranges, caramel and honey. The finish is again robust and long lasting with the woody and spice notes almost overpowering the softer elements. 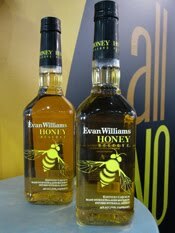 This liqueur contains Evan Williams bourbon that is infused with honey. The Evan Williams bourbons are produced at the Heaven Hill distillery in Kentucky, USA and are made using one of the oldest bourbon recipes in existence - Williams, a Welsh immigrant, first started producing whiskey in 1783! It is bottled at 35% ABV, which is reasonably high strength for a liqueur. The colour is golden yellow and the nose has less honey aroma than expected. If feels sweet and fresh with some oak and vanilla mixing with zesty citrus (think of lemon and orange) and the honey. More honey comes through on the palate and combines well with the lemon and vanilla notes. There is a slight bitter edge which balances the intense sweetness. It is reminiscent of a lemon and honey cold and flu remedy. The finish is long, smooth and warming. One of the nicer liqueurs tasted to date, although the bourbon gets slightly lost somewhere. The Clubhouse is amber in colour and sweet on the nose - plenty of cereals, caramel and dried fruits (think of sultanas, raisins and candied peel). On the palate, these notes are repeated and are joined by distinct woody spices (imagine cinnamon and nutmeg) and some honey. The finish is of decent length and is sweet and quite sugary, yet refreshing. Decent value for about £15 a bottle. The Twilight is fresh and vibrant on the nose with a light straw-like colour. The nose and palate demonstrate zingy citrus (think of lemon zest), honey, vanilla and light floral notes, with an uncomplicated finish that is short and sweet. The Fireside is marketed as 'the smoky one' but it is very light and subtly smoky on the nose and palate. There are cereals, vanilla and damp earthy peat present, with just a hint of saltiness. The finish is less sweet with some warm spice coming through that is reminiscent of ginger and nutmeg. The Nightcap is by far the richest of the set. It is dark amber in colour and packed with dried fruits - sultanas, raisins and candied orange peel - cereals and caramel on the nose. These follow through to the palate and it feels thick and creamy in the mouth. There are also some wood spice and honey present. The finish is long and warming with plenty of sweetness. 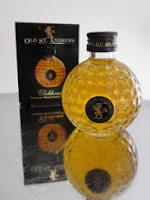 A full review of the new Old St. Andrews range will appear nearer to the release date in September. Glen Deveron is a single malt whisky that is produced at the little known Macduff distillery, close to the Highland coastal town of Banff. The distillery was founded in 1962 and was originally named as Glen Deveron due to its proximity to the River Deveron. It became Macduff in the 1970s, following a change of ownership. The current owners are John Dewar & Sons, a subsidiary of the Bacardi group, and most of the three million litres produced there each year is used in Dewar's popular range of blended whiskies. Macduff is one of the few distilleries in Scotland to have an odd number of stills - they have five and this is unusual as stills normally operate in pairs, so therefore most distilleries have an even number of them. Glen Deveron single malt whisky is relatively difficult to find in the UK market, but has a strong market share in southern Europe. This stems from when it was owned and marketed by Martini in the 1980s and laterly, by Bacardi since they took control of Dewar's in 1992. Because of its strong showing in these markets, Glen Deveron creeps in to the world's top 30 for single malt whisky sales. Single malt releases are limited to just this 10 years old, although this is joined occasionally by 12 and 15 years olds. All releases by John Dewar & Sons carry the Glen Deveron name, while any bottled by an independent bottling company carry the Macduff name. Such independent bottlings are rare, especially older whiskies. 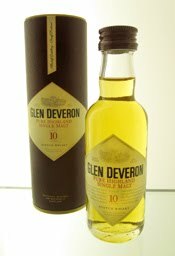 This Glen Deveron 10 years old is bottled at 40% ABV and should cost between £25-30 from specialist retailers. The colour is a rich gold and the nose is initially sharp with a distinct citrus-like zing (think of orange zest). This settles after a short time to reveal prominent cereals and oak aromas that are backed up with further nuttiness (imagine almonds), some burnt sugar and caramel notes and a tiny whiff of peat smoke. On the palate, there is that initial sharp zesty tang again but as before, this fades with time to allow the other characteristics through, especially very prominent oak, wood spice (think of cinnamon and nutmeg) and cereal notes. Behind these are more subtle, sweeter elements such as some honey, nuts (almonds again), caramel and soft distant peat smoke. The finish is disappointingly short - it is again sharp and fresh, giving way to an increasing woody bitterness that was not unlike that previously experienced in one or two bourbons. Royal Mile Whiskies is one of the UK's leading independent whisky and spirits retailers. The company was established in 1991 and has established a worldwide customer base. They currently have two shops - one on Edinburgh's Royal Mile and one in London's Bloomsbury Street - with a third shop in Edinburgh specialising in cigars. 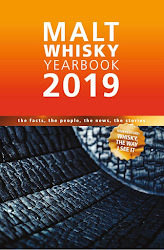 Royal Mile Whiskies have one of the best whisky retail websites on the net and in addition to an expansive range of whisky, bourbons and other spirits, the website is also home to in depth distillery profiles, whisky history and staff tasting notes. 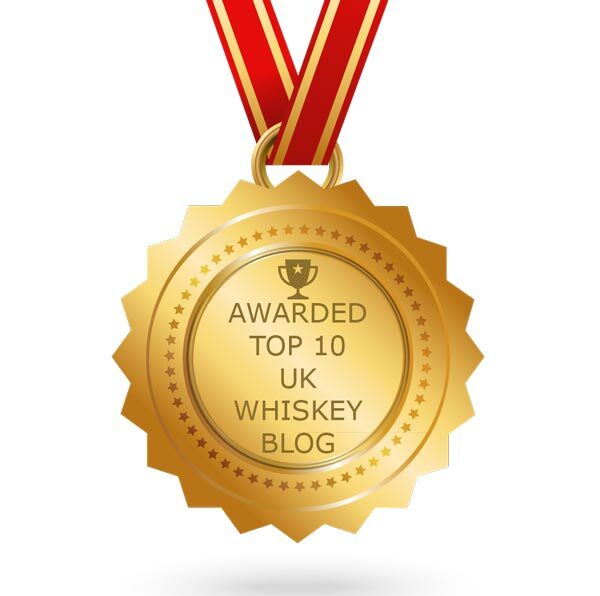 For this reason, we included it in our recent Top 10 Whisky Websites feature. Check it out at www.royalmilewhiskies.com. Regularly, the guys at Royal Mile Whiskies carefully select and bottle their own whiskies and the latest of these have just been released. This example is from the famous Laphroaig distillery on the isle of Islay - it is bottled from just a single cask and at the natural cask strength of 56.8% ABV. The whisky was distilled in June 1999 and bottled in April 2010 and there are only 309 bottles available. It can be purchased from either of their shops or from the website at £39.95 each. Laphroaig is one of the best known whisky distilleries in the world. The name is derived from the Gaelic for 'beautiful hollow by the broad bay' and is pronounced la-froyg. The distillery is located on the island of Islay, which lies off the west coast of Scotland. Laphroaig and Islay are renowned for producing very smoky, peaty flavoured whisky and Laphroaig's 10 years old is the best selling whisky of this style in the world. The distillery was founded in 1810 and is currently owned by drinks corporation Beam Global. It has an annual production capacity of 2.9 million litres. 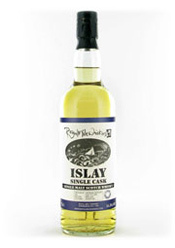 The colour of this whisky is a pale straw yellow and the nose is vibrant, aromatic and full of smokiness. The smoke has an ashy bonfire nature to it, with some damp peat and moss behind it. Behind this are some other aromas that combine well to give an excellent and promising nose - sweet vanilla, cereal grains (think of rolled oats or grain husks), fresh green fruits (imagine pears and apples) and a distinct note of dried grasses. On the palate, this whisky is again vibrant and fresh with a lovely mix of tangy citrus (think of lemon zest), hot spices (imagine red chillis and peppercorns) and sweet ash-like bonfire smoke. The smokiness is slightly less prominent than on the nose and allows further character notes through more easily. These include vanilla, oatmeal, fresh green pears (reminiscent of Poire William liqueur), some saltiness (think of brine) and a slight hint of acrid rubber. The finish is long and fresh, with plenty of that bonfire ash smoke and sweetness. It grips your palate and won't let go! This Laphroaig 1999 is a cracking dram! It exhibits great balance for something with such a high alcohol level - it maintains a good level of intensity, spiciness and smokiness throughout. We found that the addition of water dampened the smokiness, softened the spiciness and thinned the texture in the mouth. A very impressive independent bottling - well done to Royal Mile Whiskies. We thank Matt Tilbury in the London shop for giving us the chance to sample this new whisky. Please note - the image above was taken from the website of Royal Mile Whiskies. The Jura distillery is located on the isle of Jura, which lies off the west coast of Scotland. The island's closest neighbour is the famous whisky island of Islay and they are seperated by a narrow, fast flowing stretch of water called the 'Sound of Islay'. The distillery was founded in 1810 by Archibald Campbell and was originally called the Small Isles distillery. It was closed for a long period between 1901 and 1960, at which point it was rebuilt and renamed as Jura. The distillery has a large annual production capacity (approx. two million litres), considering its remoteness and the small population of the island (currently 220 people). In fact, Jura translates as 'deer island' from the old Nordic language and the deer out number people by a ratio of 20:1! The current owners are Whyte & Mackay and they use the whisky produced there in their popular range of blended whiskies but are also putting more time in to promoting Jura as a single malt whisky. This has seen sales improve greatly in the last two years and as a result they continue to expand the core range. They currently release a 10, 16, 18 and 21 years old in a lightly peated style plus the Superstition, which is an unaged and smokier and this Prophecy, which is 'profoundly peaty' (their words, not ours!). Jura is also popular with the independent bottling companies with different ages and casks available. The Prophecy was released towards the end of 2009 and is bottled at 46% ABV. It should cost £45-50 a bottle from specialist alcohol retailers. The colour of the Prophecy is golden with a touch of coppery amber. The nose is vibrant with a rich mix of interesting aromas - caramel, dried fruits (think of raisins and orange peel), slightly sulphuric coal smoke, wood spices (imagine cinnamon and nutmeg) and a whiff of antiseptic surgical spirit. On the palate, this whisky is heavier and smokier than the nose suggests. It has an oily feeling in the mouth, with the smokiness more pronounced and up front than on the nose. This smokiness is also less coal-like and more reminiscent of a bonfire or bonfire ash. Through this come other elements that combine well - caramel sweetness (this is quite sugary initially before fading), fruits (the dried raisins and peel again), a distinct grassy herbal note (a combination of dried grass and a hint of liquorice), some wood spice (cinnamon and nutmeg) and some hotter spice (think of peppercorns and red chilli). The finish is long and lingering but is drier than the palate, with the smoky and herbal notes prominent and giving it a slightly acrid edge. This is our favourite Jura whisky that we have tasted to date. Prophecy offers additional richness and increased smokiness to others in the range and would be a good alternative to the more well known smoky whiskies from Islay. The whisky improves with time, as we found it slightly harsh and acrid to begin with. Upon trying it a week or so later, it had softened and revealed more characteristics and it is these that we have written about above. We would like to say a big thank you to everyone who read and left comments about our latest ‘Mystery Dram’ challenge that we set earlier this week. 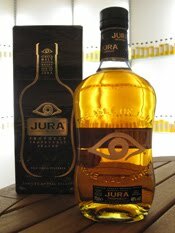 We can now reveal that the ‘Mystery Dram’ in question this time was the Jura Prophecy - a relatively new 'profoundly peaty' (their words not ours!) version from the Isle of Jura distillery. The full review of this Jura Prophecy will be posted shortly with some further distillery information and facts about the whisky. There were a number of very good guesses but only one person guessed correctly - Tim Forbes, who runs The Whisky Exchange blog (AKA @TWEblog on Twitter). Well done Tim. We are planning to have another 'Mystery Dram' soon, so thanks again to everyone who took part and watch this space! The Wapping Project is an arts, restaurant and bar complex located close to the banks of the River Thames in east London. It is housed in the old Wapping Hydro Power station buildings, which dates from the late Victorian period. There is an art exhibition and performance space to the rear and the bookshop is housed in a greenhouse at the front of the building! 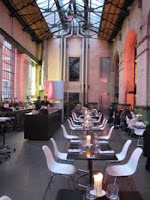 The uniqueness of the location is best summed up by the bar and eating area though - you drink and dine in amongst the old hydro power machinery and the lighting is a mix of large church candles and neon. The clash between contemporary and historic works very well and there is always the distinctive aromas of candle wax and machine oil in the background. We recently went to the Wapping Project for dinner with a group of friends. The food was very good, if a little pricey, and the menu changes daily. The wine and beer list is all Australian and has some lovely examples. However, our best surprise was that they had a small but well selected selection of whiskies behind the bar. They have about 20 in total, consisting of a couple of Irish whiskies, 3-4 American bourbons and ryes, a couple of Japanese, some of Diageo's Classic Malts range and most interestingly of all, a range of eight independently bottled whiskies from the Cooper's Choice range by The Vintage Malt Whisky Company. These covered a variety of styles and all the whisky was priced between £5.50 and £12 each. We felt we had to try one as the collection was unusual and the location seemed right for sampling a good dram! The idea of holding your own whisky tasting can be a daunting one. Here, we aim to show that with a few basic tips your event can be a successful and enjoyable for both you and the people you have invited. From our experience, a bit of research and attention to detail goes a long way to getting you off on the right footing. We believe that anyone can host their own whisky tasting event by considering a few simple steps. So, where do you start? This is the most important aspect of your tasting, as the whiskies are the stars of the show! This may seem obvious but the correct selection of whiskies can instantly make your tasting more interesting and diverse. The first thing is not to choose too many whiskies – 4 or 5 is a good number, otherwise everyone’s palates will start to struggle. But how do you choose correctly? The important questions are whether you want a theme and what do you want to portray within the tasting? Do you want different styles of whisky (this could be from different regions of Scotland or different whisky producing countries) or whiskies of same style (for example, all smoky whiskies). 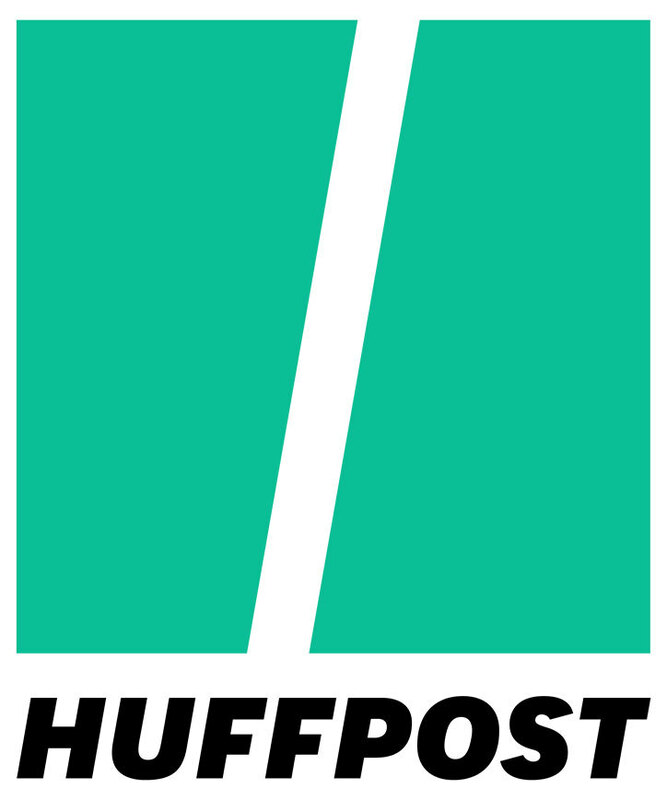 Do you want all well-known brands or lesser known ones? One idea that works well for us is to pick whiskies that demonstrate the different core characteristics and barrel types of whisky – for example, choose 4 whiskies with one that has been matured in ex-bourbon casks, one in ex-sherry, one in a mixture of casks and then one smoky –this will show the typical flavour profiles of each style to your audience. If you are not sure or feel that you lack the knowledge to make the choices, then visit a specialist retailers either online or in a shop. 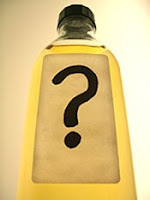 Once you have selected your 4-5 whiskies, a good idea is to do some distillery research on those that you have chosen. This adds a further level of interest to your tasting. We are not just talking about a bit of history or information about the bottling (although this is useful especially with limited or single cask releases) but titbits of interesting related information. We call them the ‘pub quiz facts’ and your guests will leave knowing about other things than just whisky. One such example is that the golf course next to the Balvenie distillery has the highest hole of any golf course in the UK at 1000ft/305m! 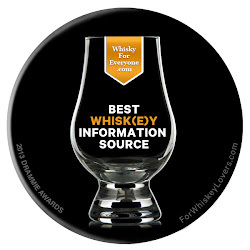 There are many whisky blogs and websites where you can find such information and our interest in related facts led to us developing the ‘Did you know?’ section on each distillery profile page in our website whiskyforeveryone.com. It may help to prepare bullet pointed notes of these. The tasting is not just about the whisky. You will need some or all of the following items to help aid your tasting smoothly. The first is water – this is for both cleansing the palate between drams and diluting the whiskies if and when required. Filtered tap water is perfectly fine, although some insist you must have bottled water. Make sure that it is not carbonated and is at room temperature rather than chilled, which will inhibit the aromas and flavours of your whiskies. Another thing that helps to cleanse the palate between samples are oatcakes. You may wish to include other food snacks during the tasting and discuss food and whisky matching. This is a current hot topic in the whisky world and information can be found on numerous websites. A spittoon or similar vessel is also a good idea, as some of your guests may not wish to swallow all of their whisky. Having said that, we have never seen anyone ever use one at any of the tastings that we have taken! The physical process of tasting whisky is simple and is about preparing your senses properly in order to get the most out of each whisky (ie - the aromas on nose and the flavours on palate and finish). The first consideration is the type of glassware that you use. Ideally, you need a tulip shaped glass with a tapered rim. These are similar to a wine tasting glass and do the same job – they hold in the aromas and maximise the effects of the nose. A wider rimmed tumbler style of glass allows a lot of the aroma to dissipate away from your nostrils. When sampling your selection of whiskies, then start with the lightest, freshest one and move through to the heaviest, sweetest or strongest one. This is the same as in a wine tasting, where you start with the whites before moving to the reds and then dessert wines. If you do it the other way around, the stronger flavours will taint the palate and the subtleties of the lighter whiskies are in danger of being lost. The most important step is to get to the whisky! It is easy to procrastinate about this or that or the other, but most of your crowd will just want to try the stuff and see what it is like. Whisky tasting is different from a wine tasting as the alcohol levels of what is in the glass are much stronger. To help with this, it is an idea to get your tasters to prepare their senses properly for what they are about to do to them, especially if they are not used to spirits. Get them to smell the whisky two or three times and as their noses get more used to it, then they should start to pick up more and more characteristics. The same will happen on the palate – the more they hold the whisky in their mouths, the more flavours they will find. You should also talk about the effects of adding water and ice, as someone WILL always ask about it! The whisky tasting must be a combination of fun, informative and interactive. Encourage your guests to ask questions, make comments and discuss the whiskies between themselves. It is also good to get people to come up with own tasting notes and think about what they are tasting, rather than you telling and dictating to them what aromas or flavours that they should be finding. This will make it more interesting for you and your tasters and get them thinking more about the whiskies. If it is a bit slow to get going then don’t worry - after a couple of drams they will start to loosen up! Most importantly, is that you and your guests enjoy the event and the whiskies. Good luck! We thank Stephen Smith from Minneapolis, USA for the idea for this post. Steve won our recent 2nd birthday competition, where we asked for ideas for interesting articles that people would like to see. If you are holding your own whisky tasting event, then we would love to hear how it went – just add your comment in the section below. We apologise for the fact that there hasn't been a 'mystery dram' for a while and that Whisky For Everyone has been a little quieter than usual recently. This is due to us working hard in our day jobs and also developing an exciting new sideline project, which we plan to announce shortly. Anyway, we have posted below the tasting notes of a whisky that we have tasted recently. The idea is that you try to guess what the 'mystery dram' is from these notes. To register your answer, click on the 'comments' section at the bottom of this post once you have read the notes and follow the instructions. The colour of this whisky is golden with a touch of coppery amber. The nose is vibrant with a rich mix of interesting aromas - caramel, dried fruits (think of raisins and orange peel), slightly sulphuric coal smoke, wood spices (imagine cinnamon and nutmeg) and a whiff of antiseptic surgical spirit. On the palate, this whisky is heavier and smokier than the nose suggests. It has an oily feeling in the mouth, with the smokiness more pronounced and up front than on the nose. This smokiness is also less coal-like and more reminiscent of a bonfire or bonfire ash. Through this come other elements that combine well - caramel sweetness (this is quite sugary initially before fading), fruits (the dried raisins and peel again), a distinct grassy herbal note (a combination of dried grass and a hint of liquorice), some wood spice (cinnamon and nutmeg) and some hotter spice (think of peppercorns and red chilli). The finish is long and lingering but is drier than the palate, with the smoky and herbal notes prominent and giving it a slightly acrid edge. This whisky is bottled by the distillery at 46% ABV and should cost £45-50 a bottle. Now it is over to you ... can you work out what it may be? Glen Ord is a little known but well regarded distillery in the north Highlands of Scotland. It is located in town of Muir of Ord, to the north of Inverness, in an area that is referred to as the 'Black Isle'. This name comes from the colour of the soil and its dark, rich earth makes it one of the most fertile farming regions in Scotland. The distillery was founded in 1838 by Thomas Mackenzie and was originally known as Ord. It was later known as Glenoran before becoming Glen Ord in 1923. The location was selected due to its proximity to the abundance of quality barley, dark peat and fresh local spring water. Glen Ord is currently owned by the large drinks company Diageo and is one of their largest with an annual production capacity of three million litres. Despite this, it remains one of Diageo's least known distilleries. The main reason for this is that the majority of whisky made at Glen Ord is taken to be used in the owner's world famous Johnnie Walker blended range. While Glen Ord is relatively unknown in the UK, it remains highly regarded and its most popular markets are America and South East Asia. The distillery releases just two regular bottlings - a 12 years old and another 12 years old called Singleton of Glen Ord - although these are supplimented by occasional older limited versions. Independent bottlings are rare, which is why we had to try this release from Douglas Laing & Co.
Douglas Laing & Co are an independent bottling company that are based in Glasgow and have been bottling whisky since 1948. They buy casks from different distilleries from all over Scotland and bottle them in a number of ranges. This whisky is from a range called Provenance and within this range everything is released at 46% ABV. This is bottled at 11 years of age (distilled 1998, bottled 2009) and is from just a single ex-bourbon cask, so the amount of bottles available is very limited. It can be found in selected specialist whisky retailers and should cost around £45 a bottle. 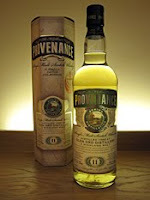 The colour of this Glen Ord 11 years old Provenance bottling is pale and golden, almost straw-like. The nose is fresh and zingy with plenty of fresh green fruits (think of pears and apples), alcohol spirit and citrus (imagine lemon) initially, before some richer aromas come through - gristy and yeasty cereals, toffee, vanilla and a touch of honey. On the palate, there is a distinct crispness up front before the characteristics begin to develop fully. All of the elements mentioned on the nose are present - green and citrus fruits, cereal grains, yeast, toffee, vanilla and honey - but they feel more exaggerated and fuller in their nature. The combination is pleasant with the vanilla, toffee and grains most prominent. As we move in to the finish, the grains become slightly more bitter (think of the husks especially). The finish is on the short side but remains fresh, crisp and zingy with a pleasant mouth watering sensation. This whisky is light and feels slightly younger than it is. If you have ever tried new make spirit (the spirit that comes off the still and is then aged to become whisky), then elements of that are present. These elements normally mature and disappear with time. If you haven't tried new make spirit, then these elements are the distinct zingyness (sometimes being hot and spicy), as well as the presence of the fresh green fruits. On the other hand, it may be that the cask is a bit old and has not imparted as much influence on the whisky as expected. Having said all of that, this Glen Ord is a pleasant and refreshing dram and is worth a try, especially if you like lighter, aperitif style whiskies. It would be great on a warm day also.